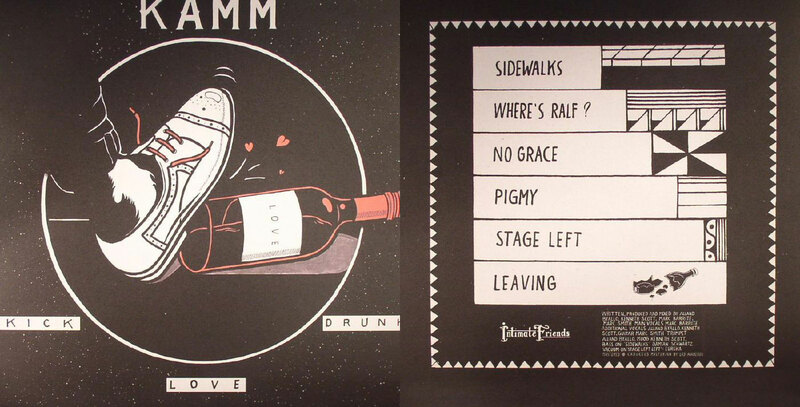 Kick Drunk Love is Kamm’s dedut album on Marcel Vogel’s Intimate Friends imprint. We can all get caught up in the relentless search for new house and disco records but this release brings a breath of fresh air with something new and exciting to all ears, especially people who can appreciate a lean to a more electronic sound. There’s a beautiful mash up of trippy electronic synth sounds with real soulful undertones and a definite lean towards a slowed down beat feast from the past. Our pick of the album is the upbeat “Stage Left” which brings a driving baseline and heady vocal which I’m sure will find it’s way into many sets this summer. This is a collaborative project from Dave Aju, Alland Byallo, Kenneth Scott, and Marc Smith—whose shared label pedigree is quite something, taking in Poker Flat, Dessous, Circus Company, Moodmusic, Liebe*Detail, Third Ear, Hypercolour, and Rawax, among many others.